As an individual dancer, choreographer, a company, or an agency, you are entitled to apply for yourself or an artistic group that you represent to perform on the artistic programme of Tanzmesse as of June 2019. Please read the following guidelines and our new Artist's Guide thoroughly before applying. the work you want to present is a professional, ready-to-tour production: production must be ready when the application has been submitted (not a work-in-progress). The production can either be for a traditional stage/audience space or a site-specific performance. Productions that are equally suitable for adults and a younger audience are welcome for that matter. Only productions that are no longer than 60 minutes, or are a 60-minute adaptation of the proposed choreography can be approved. The company also needs to be able to tour with this production in the 2018/19 season or later. Your production is still a work-in-progress at the time of the Tanzmesse 2018. Productions for a traditional stage/audience space or site-specific performances can be proposed for the Open Studio programme. The Open Studio can contain excerpts from the planned production, or these excerpts can be accompanied by a report about the company, working method and production conditions. Video productions can only be approved after prior consultation with internationale tanzmesse nrw. The studios cannot be made darker and are only equipped with chairs and cushions for the audience, a stereo system and a dance floor. 1. Is your organisation represented by a booth at the Tanzmesse? 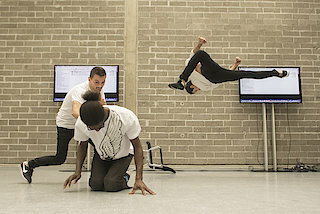 The Tanzmesse is primarily a networking event and only artists represented at a booth have the possibility to show full-length work, in the best stage conditions. You can be represented at a booth by renting a booth yourself, or you may be represented at another organisation’s booth. Step 1: Make sure you have rented a booth. If you are not the Booth Coordinator (= the person who has rented the booth), please get in touch with them in order to receive an invitation to submit an artistic proposal. If you are not connected to another booth and would like to rent one yourself, please visit the Booth Rental section. Step 2: Create a Tanzmesse account. Login to your account and choose "Submit an artistic proposal". Once you have filled in your artistic proposal form, you can save it and add your modifications until the final deadline: 30 September 2019. Don’t forget to hit the "Submit" button and to pay the application administration fees (25€ + VAT), or your application will not be valid! 3. How many applications can you send and how much does it cost? If there is more than one work that you would like to propose to the Tanzmesse 2020, you can submit additional applications. Please note that only one of your works can be featured in the Festival Programme. Please also note that an administration fee of €25 + VAT applies to each proposal. Proposals can only be submitted online through the Tanzmesse website. A full-length video of the work you are proposing. Please DO NOT send a DVD: we will only accept a URL link to a downloadable video. The format of your video must be compatible with VLC MediaPlayer. Check here for the compatible formats if you are unsure. Multiple proposals can be submitted, but please note that there is a €25 + VAT admin fee for each application. Artists who have submitted a proposal will receive a notification by email and can fall into two categories: Selected and Not Selected. Artists who have been selected to present their work as part of the programme must confirm their acceptance and availability to perform at the Tanzmesse 2020.